During traditional Navajo ceremonies, images are painted in colored sand on the floor of the hogan (Navajo home) by a skilled artisan. Once the ritual is complete, the painting is swept away. 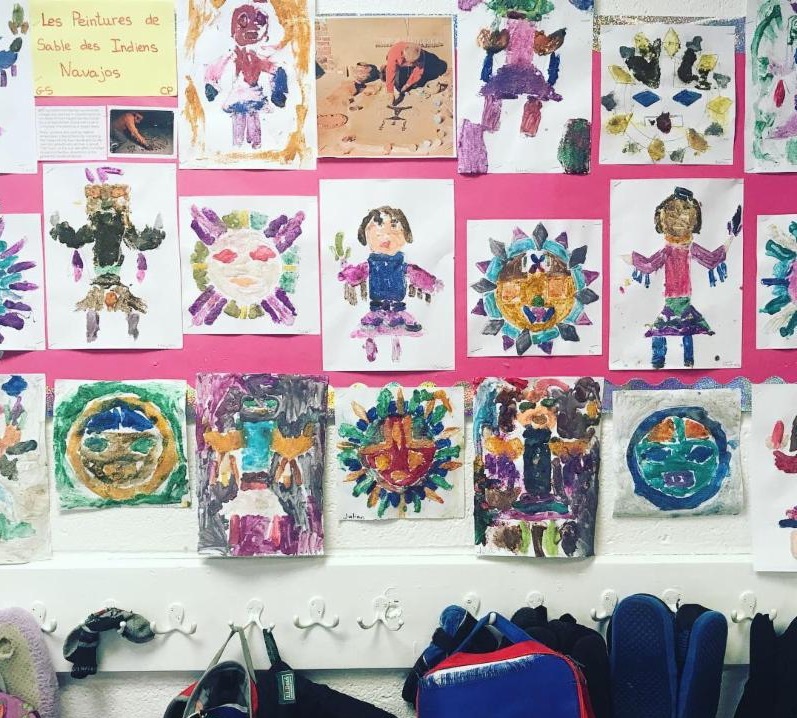 Thankfully, these Navajo inspired pieces from our GS/CP students will not be swept away and are now on display next to the upper grade classroom! Enjoy!